This is what I had been looking for . A few of my vegetarian friends wanted me to decorate their cakes. But getting a recipe based on eggless cakes was 'impoosiblest' out here! 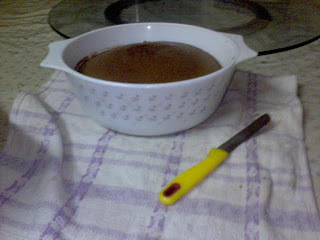 will try this and fill it up chocolate Ganache and top it with strawberries and choco whipped cream topping. U had the WHOLE cake?!?!? Heavenly!!! 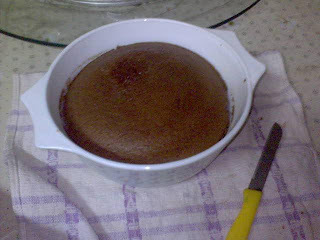 got ur site while searching for eggless cake in microwave.liked the recipe. just want to ask what do you mean by milkmaid? does it mean condensed milk ?and plz mention the quantity also. What if I leave out the baking soda? And add only the baking powder? I'm so craving this now! and i think Im gonna make this as soon as i get home from work today!!! yumm! Hey. Thanks for the recipe. This was my first cake in microwave and it turned out good! I didn't have baking soda, so I used half a tsp of eno and it worked just fine.